As of January 16, 2017, The BC Government is offering loans to help 1st time homebuyers with their down payments. Many people would like to buy a home and have the income to support mortgage payments, but cannot manage to save the required minimum of 5% for the down payment. The BC government is offering to match the buyer’s down payment up to a maximum of $37,500. Everyone involved in the purchase, including co-signing parents etc, must be first time homebuyers. That means that they have not owned a property anywhere in the world, at any time. The combined household income (including co-signers) must be $150,000 or less. The maximum price of the home must be $750,000 or less. This limit is not a problem in affordable areas like Nanaimo, but in the Lower Mainland where the average house price is over a million, $750,000 buys a modest home. The loan is considered a 2nd mortgage. Payments on the loan will begin after 5 years. At that time the repayment plan will be amortized over 20 years with an interest rate of prime plus 0.5 %. Your primary lenders may take this repayment plan into consideration when determining your qualifications for a 1st mortgage. Likely your CMHC mortgage insurance will cost you more. You will pay extra for legal services. The government will have its own lawyer to review each transaction. You will be responsible for this cost. Also, your own lawyer or notary will likely charge you more because of the increased complexity of the deal. The total increase in legal fees is likely to be $1,000-1,200, but this will vary according to individual lawyers, communities and transaction. Application to and preapproval by the BC Home Owner Mortgage and Equity Partnership program. 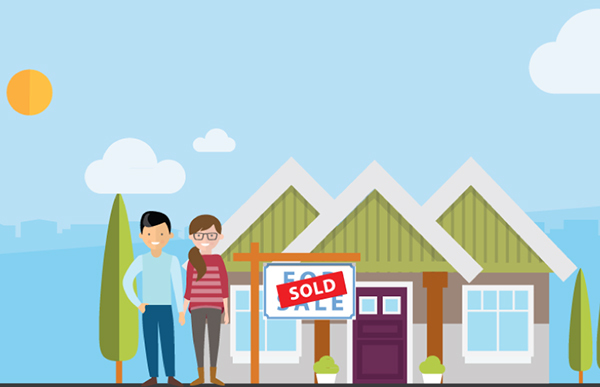 Submit your deal for approval by the BC Home Owner Mortgage and Equity Partnership program. The amount of time needed to each of these phases is not yet known. Each deal will need to build-in extra time for approval of finances. In a fast moving and competitive market, this longer and less certain approval process may make your offer less attractive to Sellers. Despite the added complexity, this program may still be a great option for some buyers. Just make sure your are fully informed to avoid disappointment and or unexpected expenses. You also may want to have a chat with your lawyer or notary to get a better understanding of the process and costs involved.